When most people think of mobile gaming, they think small in scale. 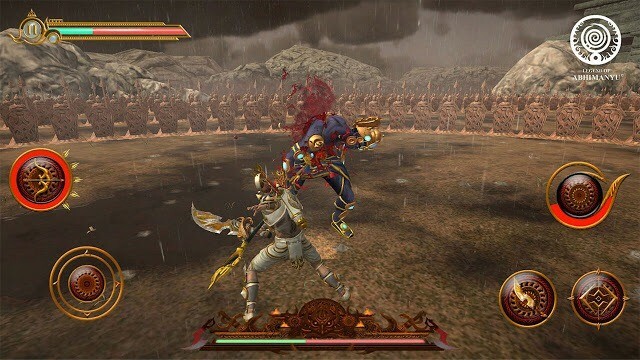 Well, meet Legend of AbhiManYu – the new action adventure epic that strives to make everything look and feel as huge as possible. With AAA production values, including fully rendered 3D graphics, and a unique historical war story based around the ancient text Mahābhārata, ACY Entertainment’s new endeavour looks more like something you’d play on a next-gen console. You play the role of AbhiManYu, a fearless warrior who has been sent to fight in the battle between two warring clans. Players will have to fight alone, and adapt various strategies to overcome the odds. Whether it’s fighting sword-to-sword or using your archery skills to shoot down enemies from your chariot, you’ll constantly have to change tactics depending on the class of warrior you’re facing. These include Archers, Sword Soldiers, Spear Soldiers, Sword Generals, and once you’re done dispatching those there will also be some mighty bosses for you to overcome, with each one touting its own supernatural power. As you make your way through the levels, you’ll encounter more complex enemy strategies forcing you to adapt your playstyle, including trident, wheel, circular, and octopus formations – so astute tactical planning will firmly come into play. The staggering number of on-screen characters at any one time is in the 1000 region, which combined with a suitably grandiose soundtrack and slick camera moves certainly lends well to the epic vibe. 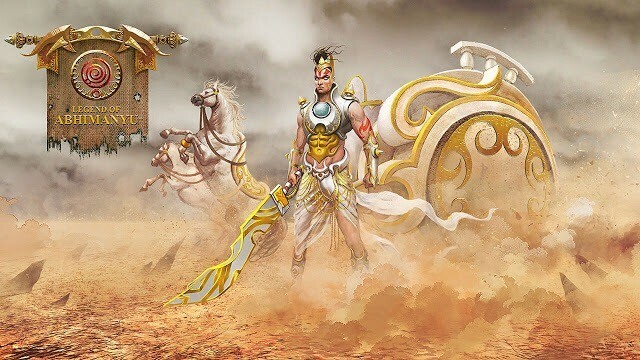 If you’re an Android user and feeling a little left out, don’t worry – an Android release of Legend of AbhiManYu will be coming out in the next few weeks. If you’d like to dive into battle in this legendary tale right now and happen to have an iOS device, then you can find Legend of AbhiManYu at the App Store.